Following back-to-back wins over Colorado and Real Salt Lake, Dallas suffered a 2-1 loss to Philadelphia in their last league fixture. 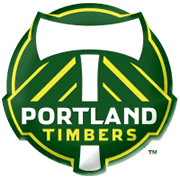 The Toros aim to start a new winning run in the Major League Soccer and they should take advantage of the fact that Portland Timbers made a very slow start to the season. 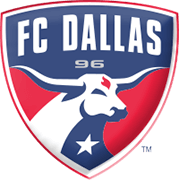 Dallas have been impressive at home ground in the 2019 MLS campaign and we are positive that they are going to give fans yet another reason for celebration this weekend. The Timbers, on the other hand, are on a four-game losing run in the league, but it has to be noted that they have yet to play at home in the 2019 season. Anyhow, considering that Portland have been struggling at the back of late, there is a big value in betting on the hosts in this one. Matthew Hedges is a 193-cm tall centre back who was born in Rochester, New York on April 1, 1990. At the age of 18 he started his college career at Butler Bulldogs and in 2011 he moved to North Carolina Tar Heels. After scoring 18 goals in total in college football, Matt played for Reading United before joining MLS club FC Dallas. The American footballer has been playing for FC Dallas since 2012 and in 2016 he won both US Open Cup and Supporters’ Shield with the Toros. Matthew Hedges made his debut for USA national soccer team on February 8, 2015, coming as a substittute in the 72nd minute in a friendly against Panama. 2017 was the most successful year of his career as he won the CONCACAF Gold Cup with the Yenks. USA defeated Jamaica 2-1 in the title game, but Matt Hedges was not given an opportunity to play in the final. His preferred foot is right.